In Practical Princess Perfect Wardrobe, organizational whizz and wardrobe expert Elika Gibbs shares the secrets of her unique three-step process, putting the luxury of a complete wardrobe makeover within everyone’s reach. 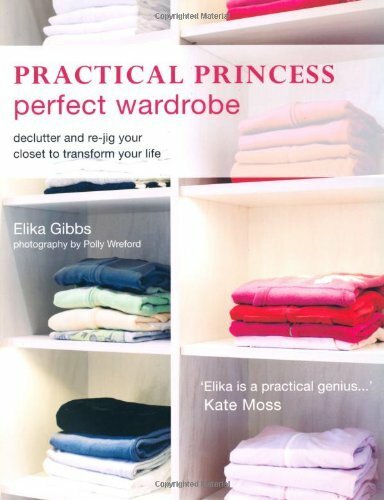 Elika starts with a wardrobe assessment that’s designed to help you dress for the life you lead, and offers plenty of hand-holding as you clear out your closet. Once you’ve decided what to keep and what needs to go, the next step is to reorganize, rehang and color coordinate your wardrobe. Finally, Elika focuses on savvy and successful shopping to fill the gaps. The result? A hard-working, streamlined wardrobe that makes it easy to get dressed and easy to feel confident about yourself.